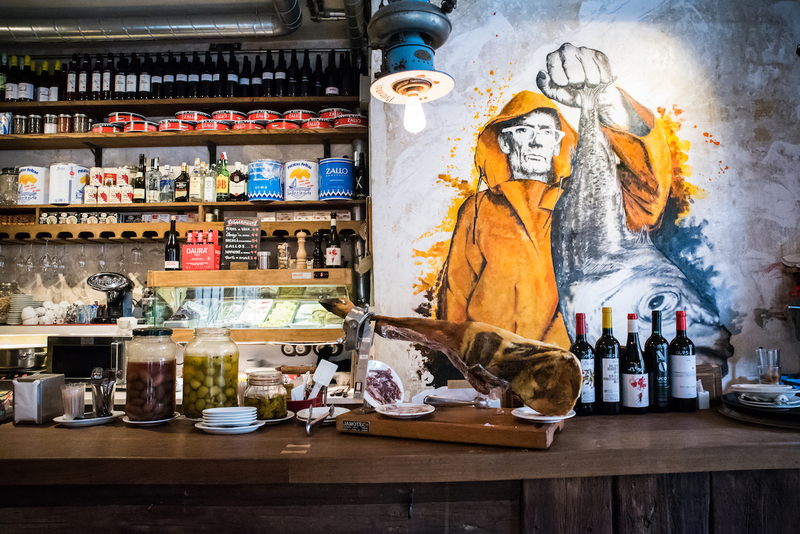 El Born is my absolute favourite neighbourhood in Barcelona’s historic old town and Wanderbeak’s ‘Born to Eat’ food tour is the ultimate way to explore it – one mouthful at a time. 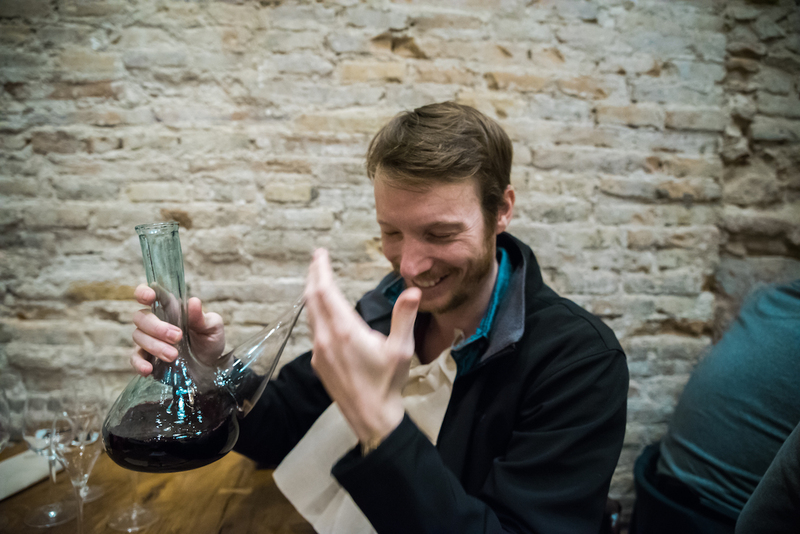 Words, photos & video by your vino quaffing guide Ben Holbrook. 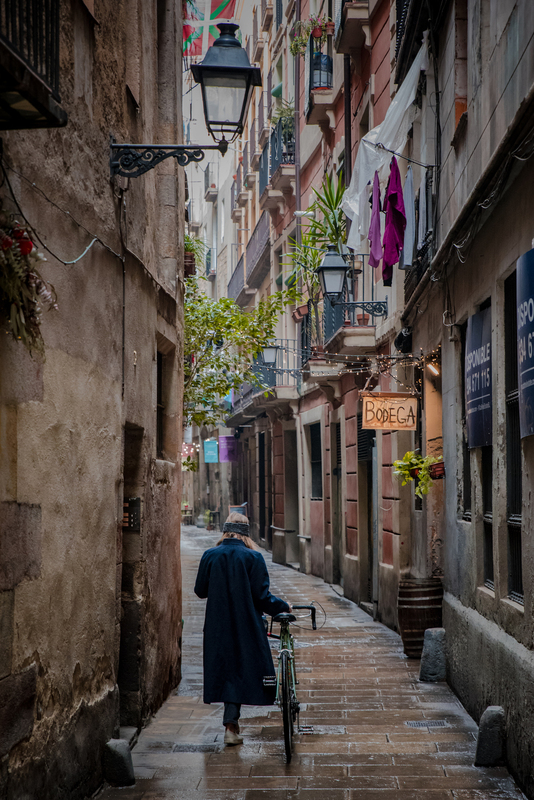 The medieval Born barrio has been home to Barcelona’s nobility, artists and artisans for over 2,000 years and continues to be one of the city’s best places to eat, drink and be merry. 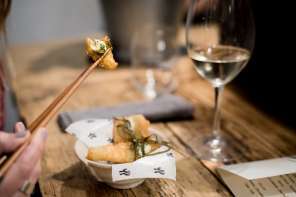 I spent a thoroughly delicious afternoon on the ‘Born to Eat’ food tour, learning, laughing, eating and drinking our way through its labyrinthine streets. 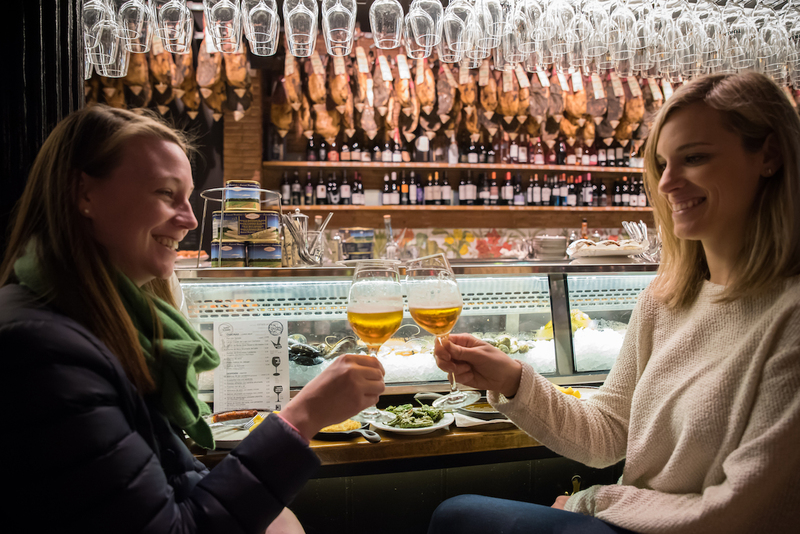 We stopped at a picked selection of tapas bars, bodegas and restaurants for traditional Spanish bites paired with a very generous amount of vermouth, cerveza and vino. This is very much my kind of tour. – Groups are kept small to ensure a more intimate and relaxed experience. 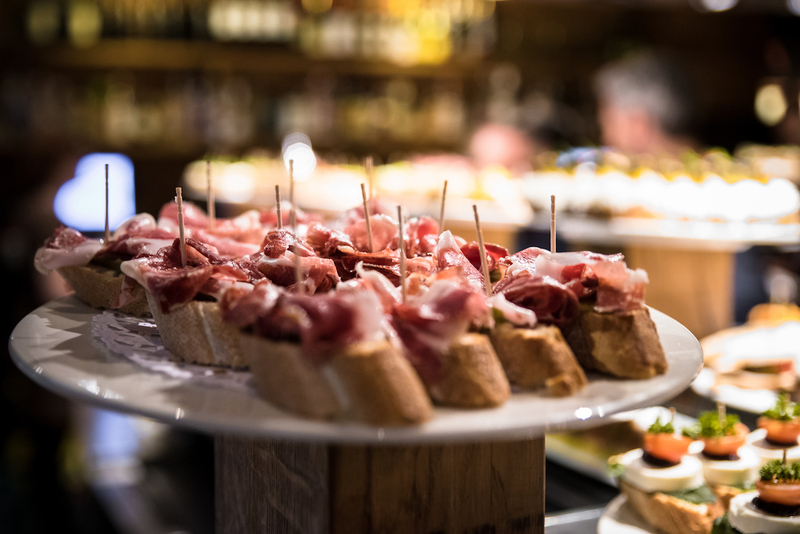 – Includes 10 premium quality dishes from all corners of Spain and plenty of vermouth, beer, Cava and wine. 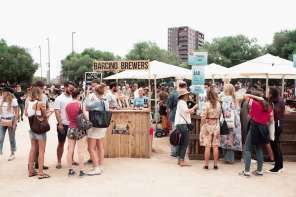 – Takes place in the medieval Born barrio (historic old town) – known for its excellent bodegas, tapas bars and restaurants. – Includes plenty of storytelling and historical/cultural insight as you explore the labyrinthine streets. 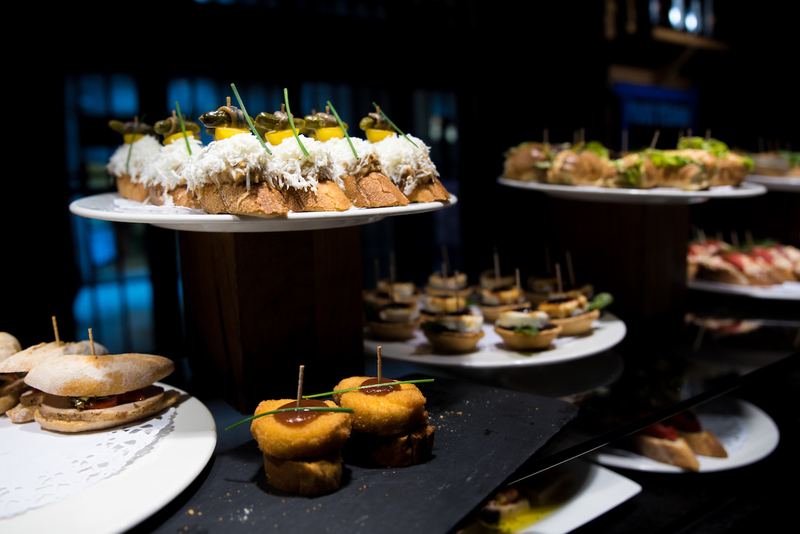 – It’s a lot of fun, extremely delicious and you will definitely learn a thing or two about Spanish gastronomy, history and culture! Book your tour now or read on to hear about my personal experience on Wanderbeak’s ‘Born to Eat’ food tour. “We’re going to start with a traditional vermut aperitivo,” Rowan explained as our table filled up with colourful little plates of food. 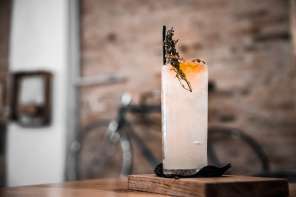 Huddled around our little marble table, we said ¡Salud! and drank the sweet, herbaceous vermouth while Rowan talked a bit about the drink’s bourgeois heritage. 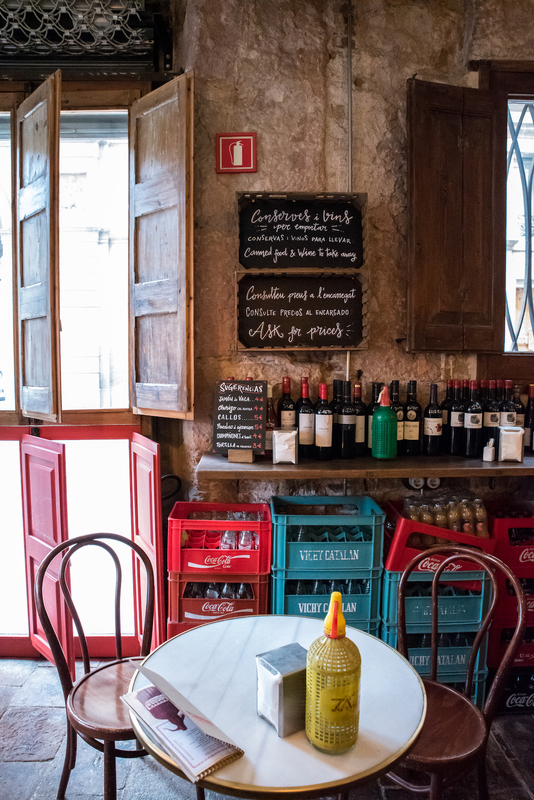 I took tiny sips between mouthfuls of A-grade ‘cecina’ (a salt-cured beef), Barcelona’s famous ‘pa amb tomàquet’ (tomato bread) and giant manzanilla olives that were fat and fresh and meaty. Every day should start this way. But the highlight for me was the fish. 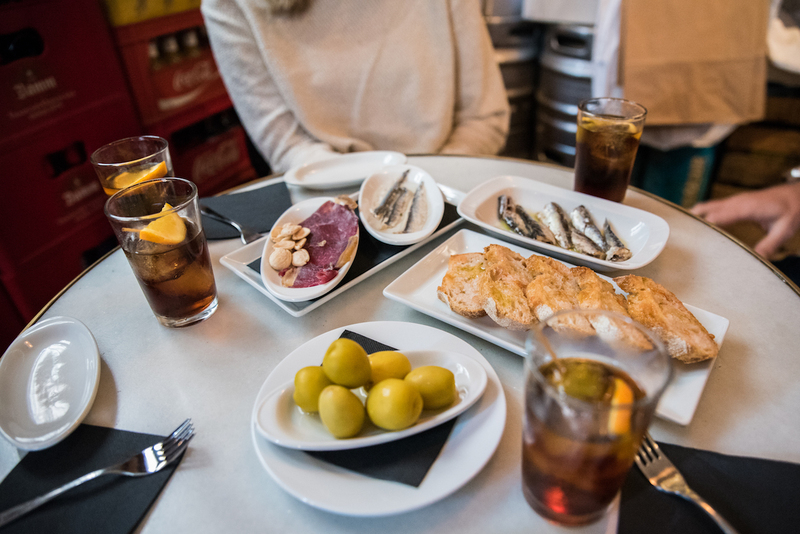 Many of us are a little wary of conserved fish and shellfish, but in Spain (and many other parts of Europe) it’s a real delicacy. In fact, as Rowan pointed out, the shelves of this rustic little bodega were stocked with tins of artisanal sardines, tuna, mussels and cockles priced as high as €50 a pop. Make no bones about it, this is ultra high quality stuff. It wasn’t the sunniest of Barcelona days, but I was filled with warmth, the sense of comfort that good food and company provides. And that’s exactly what the social ritual of drinking vermouth is all about. Needless to say, we were all firm friends by the time we moved on from our first gastro stop. Wandering through Born’s medieval streets. 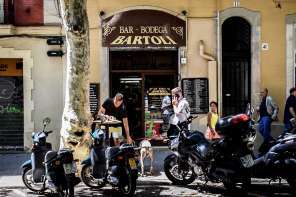 Slightly buzzed from the vermouth, we ambled slowly through the Born barrio’s narrow streets and alleyways. The scarred stone walls seemed to whisper to us as we past – messages from the ghosts of Roman warriors, conquistadors and anarchists. Tropical pot-plants and freshly-hung laundry loomed from the ancient balconies above. The occasional prying eyes peering at as through plumes of smoke. I’ve lost track of how many times I’ve visited this medieval neighbourhood, but it still enraptures me every time I see it. A quick detour to the Born Cultural Centre, where Rowan showed us ruins dating back to the Siege of 1714. Rowan took the opportunity to talk a little bit about the current political situation in Catalonia, answering our questions and helping us make sense of the locals’ eternal quest for independence from the rest of Spain. 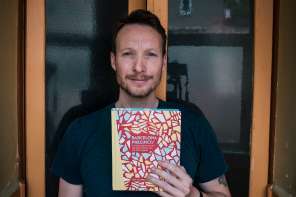 He also revealed how Barcelona’s medieval past and the Spanish Civil War influenced the city’s gastronomy of today. 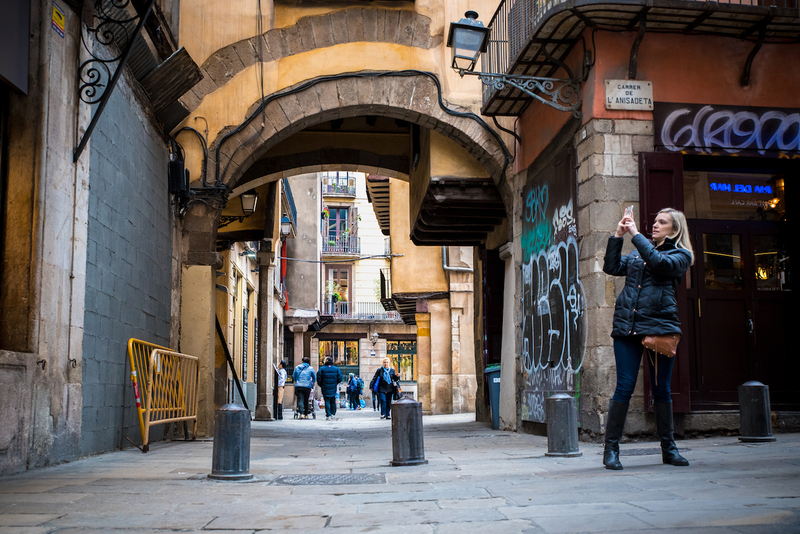 I felt excited and invigorated to learn more about the city I call home, to be reminded of just how much there is to discover about this Mediterranean metropolis. 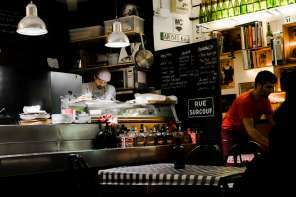 As well as being a gastronomic tour of Barcelona’s Born barrio, the ‘Born to Eat’ food tour is in many ways a complete gastro tour of Spain. Rowan was constantly explaining where each dish came from and encouraging us to think of Spain’s various regions as distinct destinations. 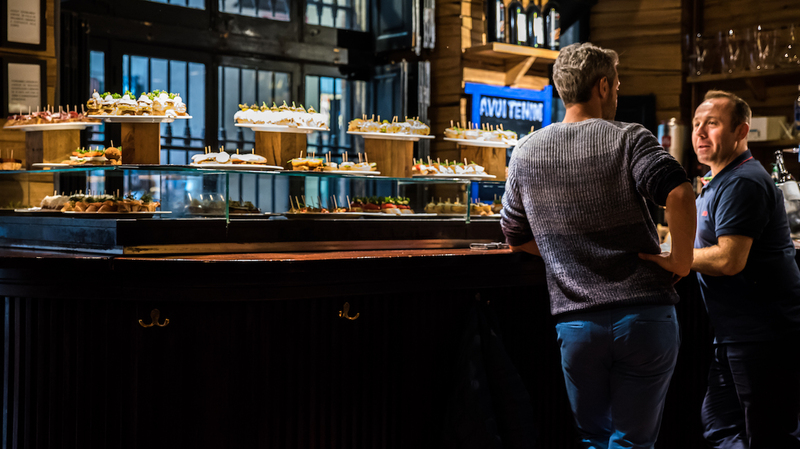 For me personally, it was an extremely pleasant surprise when we went to a beautiful Basque bar for natural cider and pintxos (a type of tapas where the ingredients are spiked to a piece of bread with a toothpick). My favourite Spanish food and drink comes from ‘Green Spain’, as the north of Spain is known, from the regions of Asturias, the Basque Country and Galicia, so this was right on point. 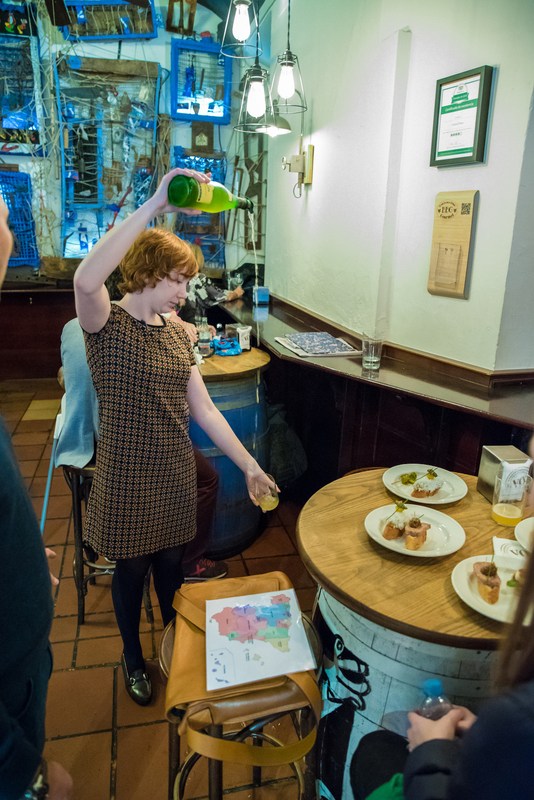 Basque cider being poured. 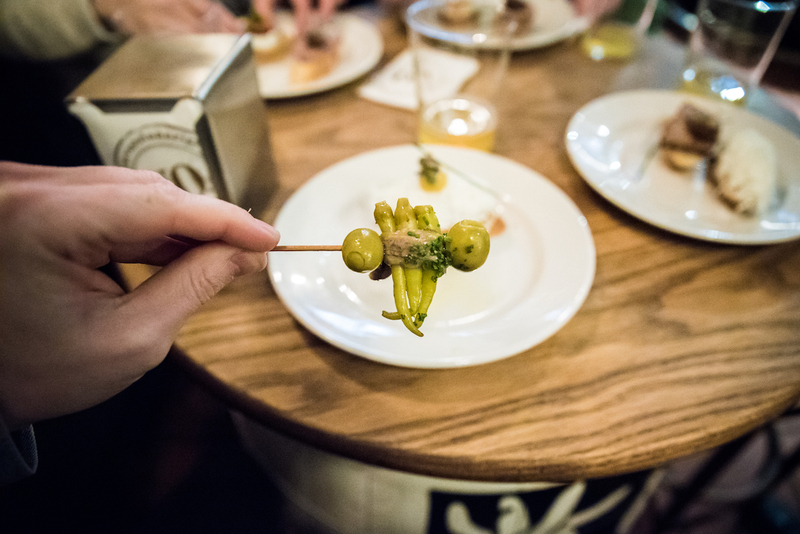 The pintxos I ate on the ‘Born to Eat’ food tour were among the very best I’ve had in Barcelona (and Basque cider is always a winner!). Rowan pointing out living pieces of history. 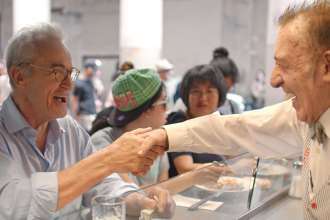 It’s no secret that I love to eat (and drink), but one of the reasons I love food tours like this so much is because there’s a healthy dose of storytelling involved too. Whether explaining why the streets are named as they are or revealing the fascinating history behind various plaques and statues, Rowan is quite the raconteur. My new amiga Ashley snapping away at Born’s scarred stone walls. My personal favourites were the little stone statues that Rowan pointed out on some of the narrower backstreets we found ourselves on. Apparently they exist to point salty sea dogs, marauders and all-round carousers to the nearest, ahem, “bars”, to places where they could indulge their vices and squander their hard-earned dough. It filled me with a sense of childlike wonder to imagine myself as a dirty rotten scoundrel, stepping ashore for the first time in many months and exploring these very streets in search of wicked debauchery. 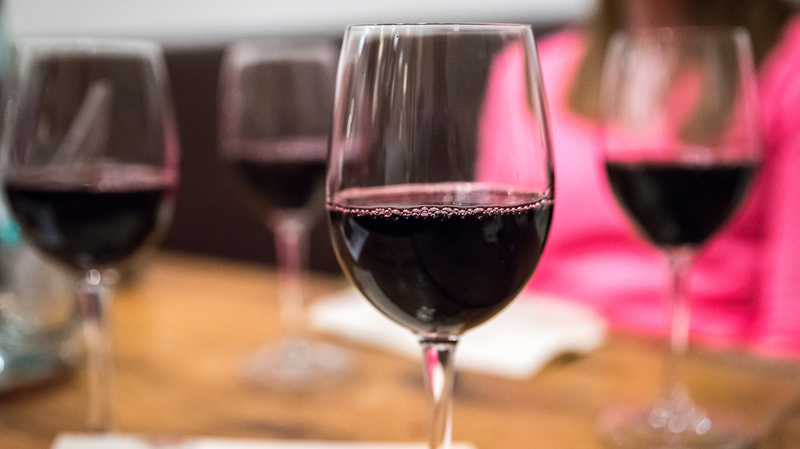 “Salud” to a great day of eating! 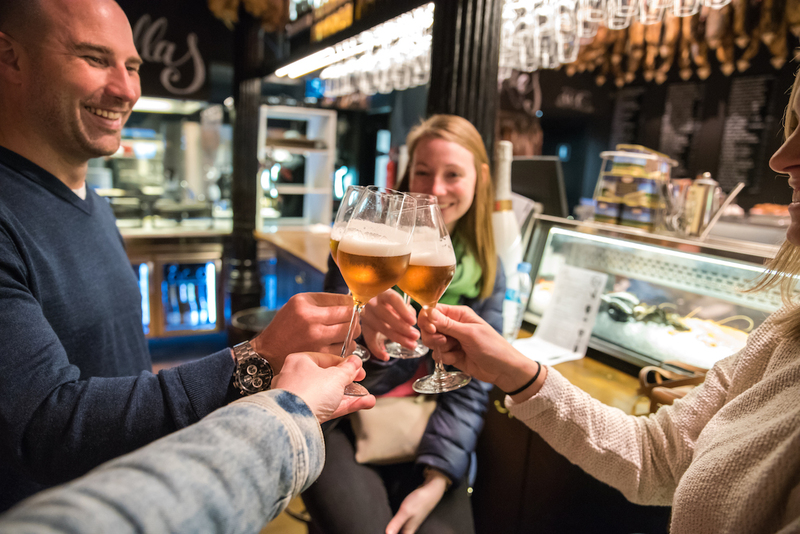 Of course, no food tour in Barcelona would be complete with a few classic Spanish tapas and a cerveza! 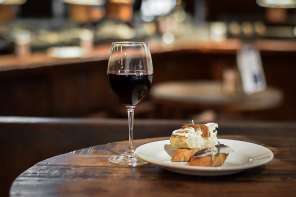 At a colourful tapas bar that was alive with the sounds of flamenco and walls stacked with beautiful wine bottles, we delved into a feast of Spanish stalwarts. 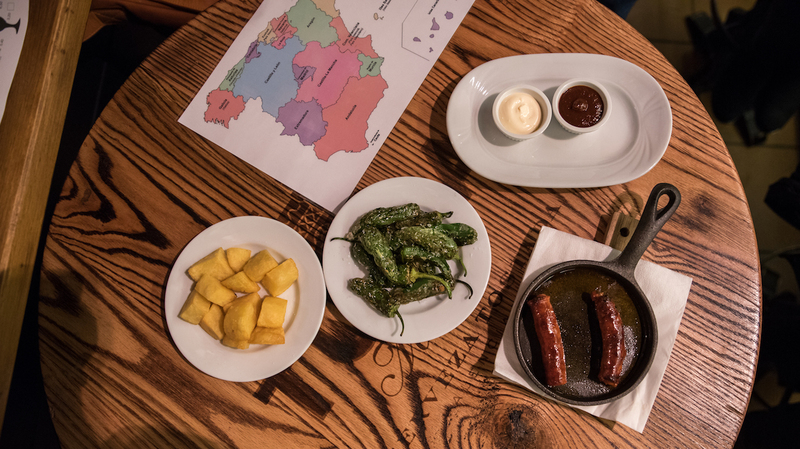 Spicy patatas bravas (the spiciest I’ve had in Barcelona), pimientos de Padrón (pan-charred green peppers with sea salt), freshly-cooked Spanish tortilla and oh-so-satisfying chorizo – all washed down with ice cold beer from Valencia. This is what it’s all about. Maggie and Ashley toasting the day! As you may well imagine, my new amigos and I were feeling more than a little woozy by now, what with all the vermouth, cider and beer, but the serious sipping was yet to come. 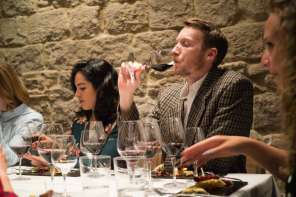 Spain may be home to the world-famous Rioja vino region, but vi Català remains relatively undiscovered. It’s strange really, as Catalonia boasts no less than 11 D.O.s (Denominaciones de Origen), all producing seriously exciting wines. My new amigas, Maggie and Ashley. I for one adore Catalan wine and pretty much drink nothing else (though albariños from Galicia are still my favourite white wines). 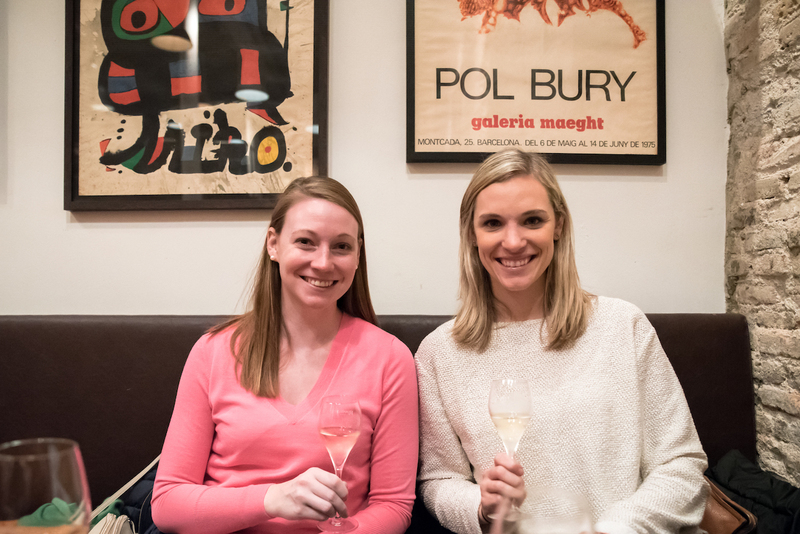 Saving the best for last, Rowan guided us through no less than four local vinos, explaining the technicalities that differentiate Catalan Cava from French Champagne and the characteristics that broadly define Catalan wine. Me having my usual difficulties drinking wine from a porrón. 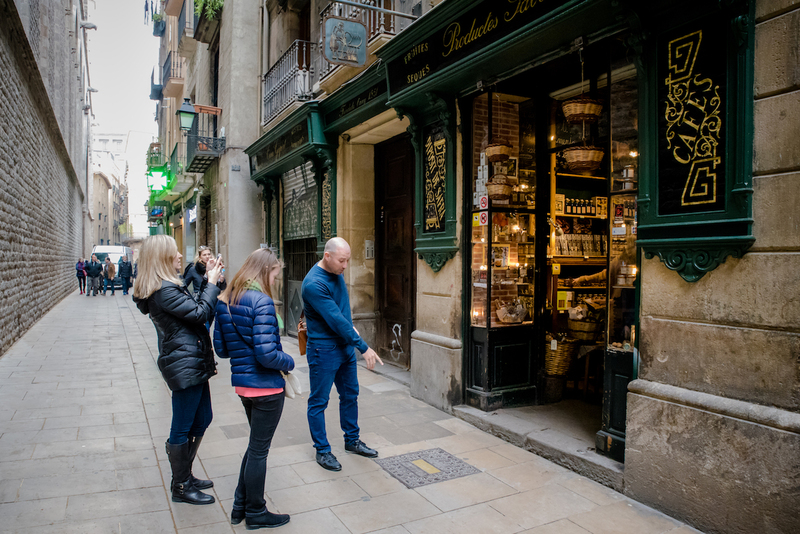 If you’re coming to Barcelona and want to get a real feel for the historic centre while eating and drinking all the right things in all the right places, Wanderbeak’s ‘Born to Eat’ food tour is an obvious choice. The experience was fun, interesting and upbeat, and I left not only with a full belly but also with a head full of thoughts and memories. And so much vino! 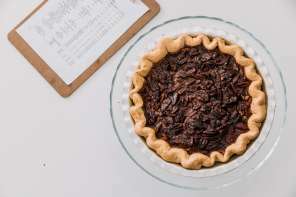 Book your ‘Born to Eat’ food tour on Wanderbeak’s website. Price is €79 per person (all inclusive) – outstanding value for money! 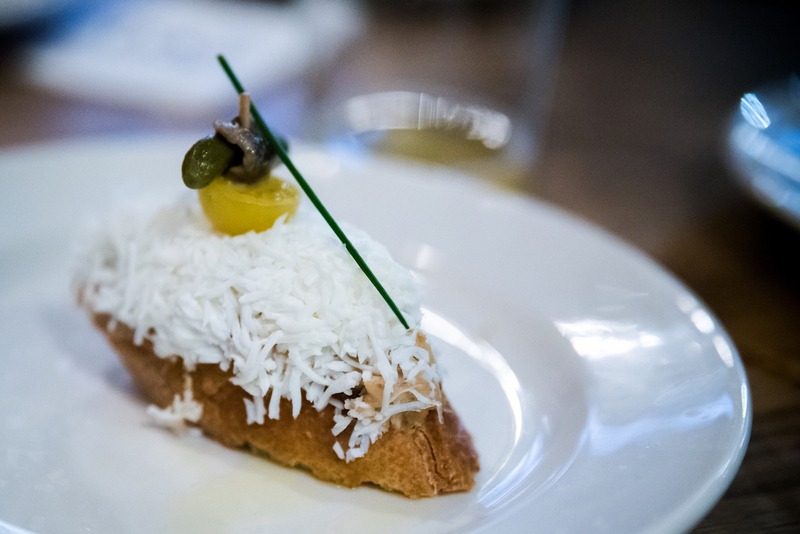 Also check out my review of Wanderbeak’s ‘Gourmet Gaudi’ food tour and ‘Savor Spain’ food tour. 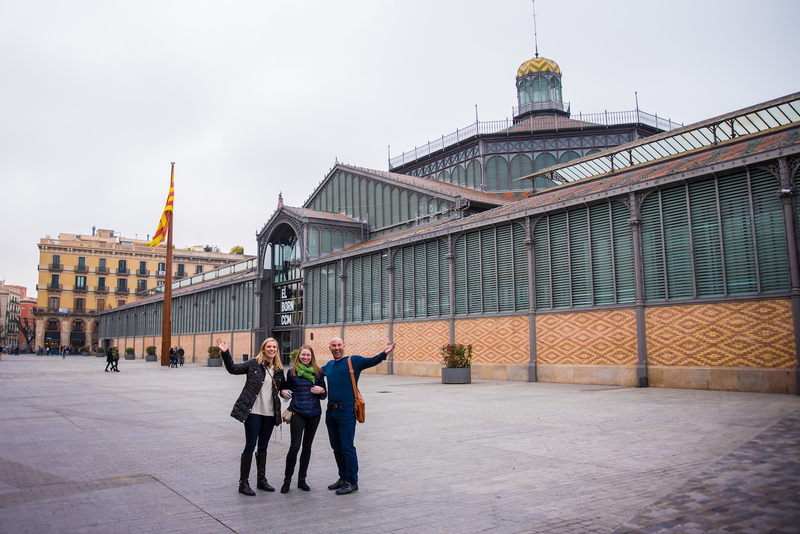 Follow Wanderbeak Tours on Facebook and Instagram for more foodie inspiration from Barcelona.